NSF-funded geologist Jason Briner went to China earlier this month to discuss his Arctic research. Virtually, that is. 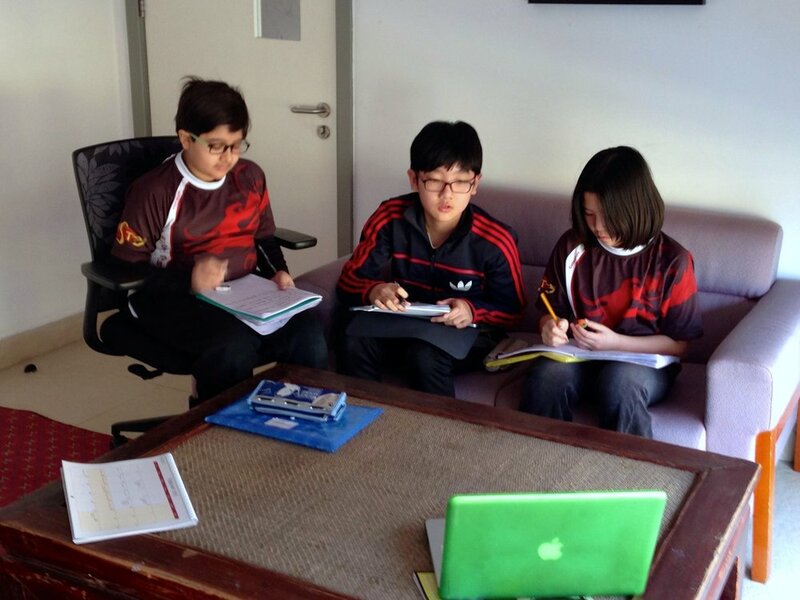 Jason attended a Skype session with fifth-grade students at The International School of Tianjin, an International Baccalaureate (IB) school in Tianjin, China. Our old friend Diana Garcia-Lavigne, former PFS planning manager and current instructor of English as a Second Language (ESL) at the school, arranged the session. The students were completing research for their Grade 5 Exhibition projects. Exhibition is the culminating event for primary students in the IB system, and involves in-depth independent study into a topic of their choice under the theme, “Sharing the Planet.” Three of Garcia-Lavigne’s students chose climate change as their topic and wanted to interview an expert. During the 30-minute session, students Felicia Sang - age 10, Il Sun Shin - age 11, and Sumit Patel - age 10, asked Briner a variety of questions about his research, the things that have motivated him to study climate change, as well as his thoughts on the best way to reduce the effects of climate change. The students were very excited about the opportunity and were able to use information from the interview as original source material for their final essays. The kids were thrilled and the reviews were outstanding. Briner “did a marvelous job of presenting answers that were accessible to the students,” Garcia-Lavigne reported. “He’s a natural! If he’d like a break from fieldwork, he clearly could have a very successful career as an upper elementary / middle school teacher,” she said. Briner is a Geology professor at The State University of New York at Buffalo. His research focuses on paleoclimatology—the study of ancient climate using information captured in ice and lake-sediment cores. This work takes Briner to remote areas of Arctic Alaska, Canada, and Greenland. To collect samples, Briner and his field team (typically four or so students and colleagues) spend weeks hiking and camping in places that other people rarely visit. His work contributes to understanding of processes involved in global climate change. Armchair researchers may view some of Jason Briner’s trips via photos and videos on the gallery page he maintains on his website. Block out some time—you’ll want to stay awhile. If you would like to help these curious young scholars, several of Diana’s students have established a short survey monkey questionnaire to collect information about public knowledge of climate change. To help the class, please click these on these links to complete the surveys.